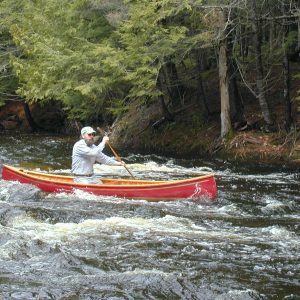 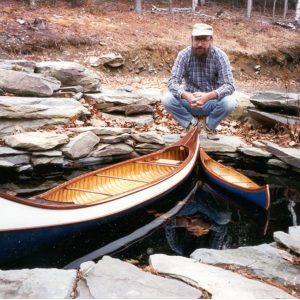 Handmade Canoes - Northwoods Canoe Co. 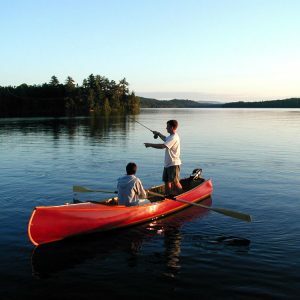 The ultimate canoeing experience is reserved for those few who paddle the traditional wood and canvas canoe. 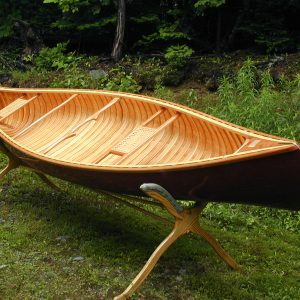 No other material is so long-lasting and completely restorable after generations of use, can be constructed with such fine lines, or is so responsive to paddle and pleasing to the eye. 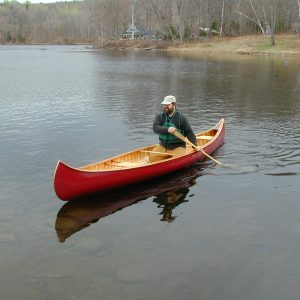 At Northwoods Canoe Company we offer many different models of wood and canvas canoes. 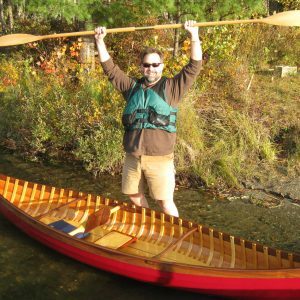 Each is painstakingly constructed using the finest Maine white cedar for ribs and planking, white spruce for the rails, and ash for decks, thwarts and seats. 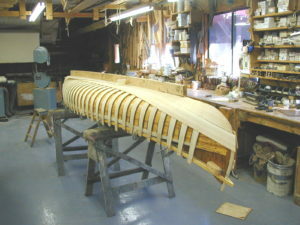 The completed hull is treated with oils and preservatives before being covered with select U.S. Grade #10 canvas, which is then filled with our own special filler. 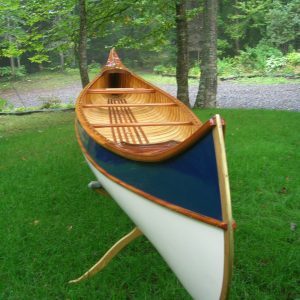 Durable spar varnish is applied to the well-sanded interior and first quality marine enamel, available in all popular colors, finishes the exterior. 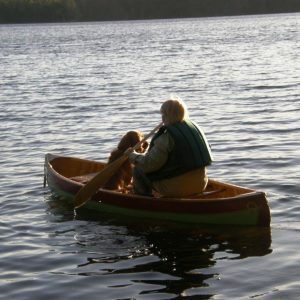 All screws, tacks, stembands and other fastenings are marine grade brass or bronze. 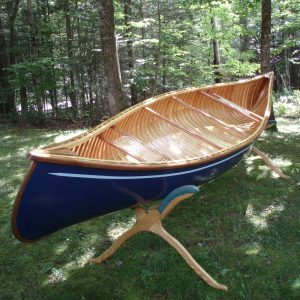 The characteristics that impart a certain canoe design with styling and desirable handling qualities have been developed and refined over all the centuries of the craft’s existence. 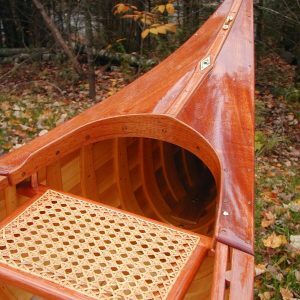 No canoe can do everything well, but some designs are far more versatile than others. 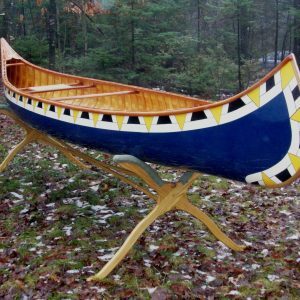 The models offered here are based upon proven canoes of traditional design from an era when professional woodsmen and guides depended upon them for their livelihoods and very survival. 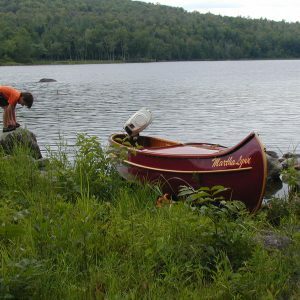 That said, I do not believe anyone using these boats will find anything old-fashioned or outdated about their performance. 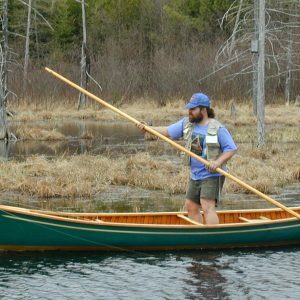 Since its inception, Northwoods Canoe Company has grown in size and now has over 12 unique canoe designs. 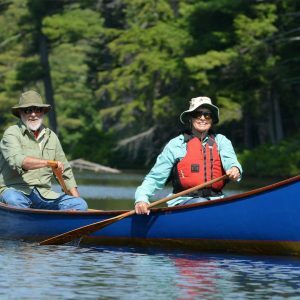 Whether they are used for day trips, family outings, fishing trips or expeditions, we are committed to designing the most beautiful and functional canoes on the water.